The following Alabado-psalm derives from both Hebrew and Ladino words used in the play Jornado de Exódo or Journey of Exodus to share feelings of the Ladino community as pioneers in the American Southwest. The Petenera genre of this song descends from the Judaic musicians that leave this genre to the gypsy-gitano musicians, as the Spanish diaspora forced them to flee to New Spain. These prayer-songs then evolve into the a cappella sung Alabados. The discovery of the history of Ladino and Hebrew existence in this land, provides an opportunity to now freely share heartfelt sorrow of its cryptic experience. This profound story reveals the knowledge of a work that secures the survival of the Word of the Lord. The Ladino and Hebrew words in the play are underlined in this song, the collection and sequencing of the words solve the puzzle of a theme of forgiveness and liberty found within the play. 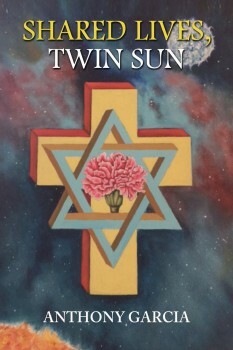 What is most interesting is that the use of both the Hebrew and Ladino words for this song, capture the flow and theme of the sorrowful story that likely may have been penned in a previous time frame, I was able to borrow the use of words to capture the theme for the song. a no olvidamos Flavius Josephus. We will not forget Flavius Josephus.